Tied head to head 1-1. Konta had an awful finish to 2017 but has since taken a proper break, got a new team around her including new coach and looks to start the season fresh. Keys came so close to winning the US Open but was beaten by Stephens int eh final and then she pretty much finished her season after that just playing and losing one more match. 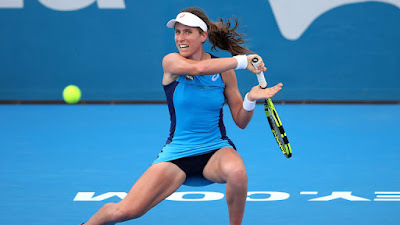 Konta’s record on hard courts is a 21-9 win loss record compared to Keys 15-5 over the last 12 months and I fancy Konta to come through a tight match as I feel her error count will be less than Keys who tends to play better the more games she has.